In a bid to quell some of the rumours and speculation about where Ealing's green waste is ending up - after fears it was going to landfill - a group of Councillors went on a special day trip this week.. to the material recycling facility (MRF) in Kent. Some of the borough's recycling crews are currently collecting the contents of green boxes and white sacks mixed - which are sent to the MRF for sorting. Cabinet member responsible, Councillor Bassam Mahfouz said: ''It is a system that many boroughs use but the system is a temporary response to the need to support the priority of collecting everyone's refuse and recycling on the right day. ''However, it is widely recognised that kerb-side sorting is the best method of recycling. We, and I believe the majority of residents, want to stick with this method of recycling and I am grateful to every individual and family who take the effort to recycle, it is a vitally important thing to do not simply for the council and for fellow residents but environmentally too. The Liberal Democrat Group Leader, Councillor Gary Malcolm, was generally impressed with the operation in Kent and has written about the day in his blog here.
'' 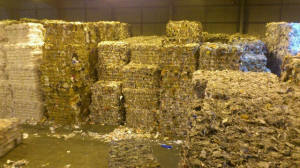 “I have visited the facility in Kent where 40% of all the dry recycling waste of the Borough has been sent during April. 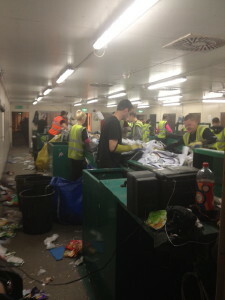 Effort is made to sort everything and apparently nothing goes to landfill. But, the value is much reduced due to contamination from being mixed at the beginning by the contractor and still a little at the end. For example, I saw some plastic still being mixed with paper. The Conservative group has called a Special Full Council Meeting for Tuesday, 8 May at 7:00pm at Ealing Town Hall. All member of the public are welcome to attend.